The perfect way to celebrate Mexico with the finest selection of handcrafts, jewelry, and souvenirs. 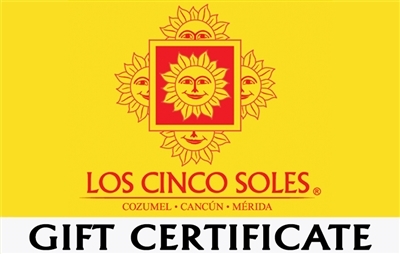 You can send your gift certificate by email or print out a copy for conventional mailing or person-to-person delivery. You may send the gift certificate directly to your friend’s email inbox. It will typically be delivered within 1-2 business days. You’ll be notified as soon as your friend views their gift. 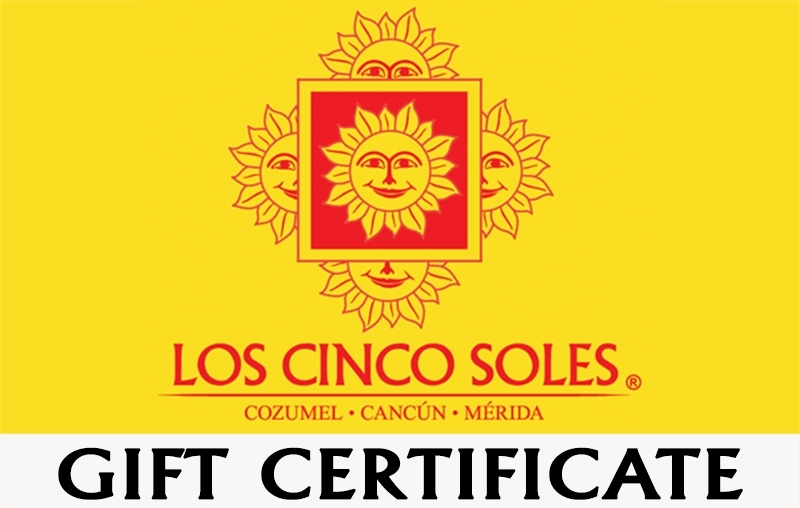 Copyright © 2014 Shop.LosCincoSoles.Com. All Rights Reserved. Built with Volusion.